Even in Christian-majority nation, following Jesus can mean painful loss. NAIROBI, Kenya (Morning Star News) – Even in Christian-majority Uganda, two former sheikhs (Muslim teachers) and a mother of seven are struggling to recover from the fury Islamic extremists unleashed on them for converting. Senior Pastor/Bishop Umar Mulinde of Gospel Life Church International outside Kampala has begun facial reconstruction after assailants who shouted “Allahu Akbar [God is greater]” cast acid on him on Christmas Eve 2011, while Christian school founder Hassan Muwanguzi of eastern Uganda is homeless and facing death threats from Islamic extremists who burned down his house. The father of six, who has lost vision in his right eye, underwent facial reconstruction surgery a month ago. “Doctors have advised that once healing characteristics are anticipated with a high level of certainty, they will proceed with more complicated stages of reconstruction,” he wrote, adding that he has undergone six surgeries and expects three more, with treatment expected to continue another six to eight months. During his hospital stay, Mulinde’s wife and twin 4-year-old boys have been with him in Israel, while a family friend cares for his older children in Uganda. “We still need provision for the two adult caretakers of our children, school tuition for all our six children, daily upkeep of our family in Africa and Israel, prescribed medication for my treatment and grace of God to overcome the remaining treatment period and the emotional pain involved,” he wrote. Mulinde, who church is located in Namasuba, 10 kilometers (six miles) outside of Kampala, has been an outspoken critic of sharia (Islamic law) courts in Uganda. Area Muslim leaders on Oct. 15, 2011, declared a fatwa against him demanding his death. Uganda is 85 percent Christian, 11.5 percent Muslim and 2.65 percent ethno-religious, according to Operation World. About 150 miles northeast of Kampala, near Mbale, Hassan Muwanguzi has been receiving threatening calls from the three Muslims who burned down his home; they served three months in prison and are appealing a part of the sentence that requires that they compensate Muwanguzi for the destroyed house. 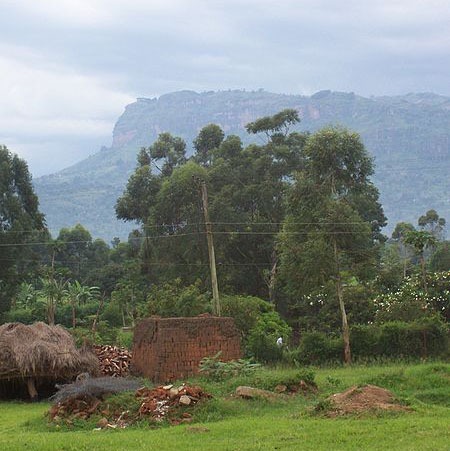 Muwanguzi has suffered before at the hands of Muslims prevalent in eastern Uganda. Because he converted to Christianity in 2003, his family beat him, he lost his job as a teacher, and area Muslims took his wife and married her to a Muslim man, leaving their two children with him as they considered them “infidels,” he said. He opened a Christian school in the predominantly Muslim area of Kajoko, Kibuku District, 27 kilometers (16 miles) from Mbale, which set off the fury of a local sheikh. In April 2011, Sheikh Hassan Abdalla and other Muslims falsely accused Muwanguzi of “defiling” a schoolgirl; Muwanguzi was arrested and released on bail after nearly a month. When his accuser failed to appear in court on multiple occasions, the judge finally dropped the case in May 2012. A few weeks later he was ordered to close the school, and in June 2012 his house was burned down. The 35-year-old Muwanguzi had paid 20 million Uganda shillings (US$7,680) for land for his Grace International Nursery and Primary School. A few weeks after he was acquitted, the owner of the land denied having sold it to Muwanguzi, and he received a court order to close down the school. About 90 percent of the 235 students were Muslims who attended with their parents’ consent. The school offered Christian Religious Education, which the community opposed, and Muwanguzi was accused of using the class to convert children to Christianity. Muwanguzi’s two children from his previous marriage are 11 and 9, and his children from remarriage are 6 and 4. The three Muslims who burned his house, Issa Mare, Waikubi Kusin and Zuduki Amsha, were convicted only of criminal trespass and threatening violence, and after three months in prison were released on Dec. 5, 2012. A hearing for their appeal on the remainder of the sentence is scheduled for Tuesday (July 9). Muwanguzi hopes to flee the country; if unable, he said at minimum he may be forced to leave the Mbale area. In nearby Pallisa District, a mother of seven in Kangado village was hospitalized for a month after her husband discovered she had place her faith in Christ and beat her with a blunt object. Aisha Logose Jenifer, 45, converted to Christianity from Islam toward the end of 2011 but had kept her faith from her husband, Muwanguzi said. Rumors reached her husband in April, and he set out to confirm them. The youngest three of her children are staying with her at the home of an elder of her Pentecostal Assemblies of God Church under pastor Olupot Pison. She and the children sleep in a small kitchen, Muwanguzi said.